You are interested in 4K video converter. But is your PC really on deck to keep the ball of 4K videos rolling? Slowing and crash are common things unless GPU-based hardware acceleration is enabled on your computer which can offload CPU to a great extent. 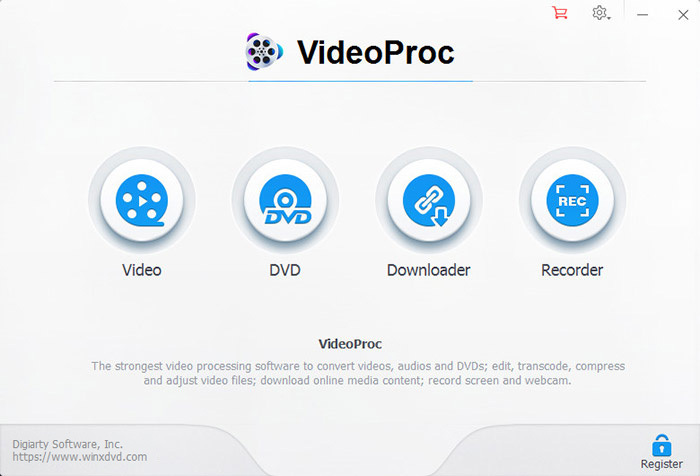 VideoProc is the only 4K video converter armed with level-3 hardware acceleration. The conversion speed will be 3x-5x times faster than using CPU (software) acceleration only. Any 2160p/4K, 5K and 8K UHD video will be easily coped. Download the converter and get on board with our cutting-edge technology. "I want to compress and convert 4K videos to 1080p files without loss of quality, but it seems most converters do not support videos with 4K ultra high definition. Has anyone got some professional 4K video converters and tutorials for me? How to convert 4k to 1080p/720p?" "Is there a 4K video converter that can convert 4K videos for free? I downloaded some 4k video clips with different file formats and want to transfer to my iPhone 6 32GB. So I need the best 4K video converter to do this job. I searched through the web but don't know which one is to choose." 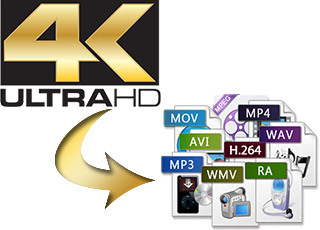 Are you looking for the best 4K video converter that transcodes all types of 8K, 4K, 2K videos? Or you just need a free 4K video converter that'll let you change a 4K video resolution to 1080p on PC and Mac without crashing? We've put together a list of 2018-19 Top 3 4K video converters for Windows/Mac and best 3 free 4K video converters. Here are the best and the free. 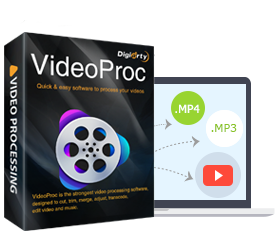 Generally: VideoProc is one of the best 3 4K video converters that gives you an ultimate control over 4K, 5K, 8K, HD 1080p and large (GoPro/DJI) video files. It enables you to convert 4K video to 1080p or 720p for playing back on iPhone Xs, iPad Air 2, Android mobiles and tablets, transcode/convert 4K footage (.mts, .m2ts) from JVC, Sony, Panasonic & Canon HD camcorder to HD TV formats for better playback. Upscaling 1080p to 4K is also allowed. Bonus Points: Plays as both a 4K video converter and a YouTube downloader to download 4K movies. Unique Tech: With Hardware Acceleration Technology, it enables multiple CPU cores to simultaneously use QSV and CUDA/NVENC to encode and decode videos, which helps you convert 4K video in a flash! Meanwhile, High Quality Engine and De-interlacing Engine go into high gear to assure a 4K ulta high quality. Acrok HD Video Converter (Acrok 4K Converter for Mac) is included on the list of top 3 4K video converters for its ability to convert 4K/1080p videos, particularly output from Blackmagic camera, to video formats compatible with editing software. Bonus Points: Supports 4K videos output from almost all cameras or camcorders, such as Canon, Nikon, Sony, Panasonic, JVC, Blackmagicdesign, etc; supports NVIDIA CUDA and ATI Stream acceleration technologies for streaming 4K videos fast. But: There is 4K video converting tutorial although no clear message suggests Acrok HD Video Converter supports videos at 4K resolution; it lacks the support for converting 4K video to iPhone Xs/Max, iPad Pro, Samsung Galaxy S9, etc. XAVC Video Converter software is designed to convert XAVC 4K (4096x2160 and 3840x2160) or 2K footage to popular formats like AVI, WMV, MPG, MP4, FLV, MP3, etc on Windows platform for 4K video editing on PC. Bonus Points: Converts XAVC 4K videos to editing software like AVID, Sony Vegas, Adobe Premiere, Windows Movie Maker, etc. But: XAVC 4K video converter for Mac can freely run on Mac 10.5-10.11 (Sierra). If you are planning to convert 4K to 1080p on Mac OS X Yosemite or Mavericks, XAVC should not be your first option; also lacks the prompt update of support for converting 4K video to iPhone Xs (Max), iPad Pro, etc. How to Convert 4K Video to 1080P with Hardware Acceleration? Everyone is excited about the 4K UHD visual feast. Do those 4K video converters really work? Can we freely compress 4K to 1080p or fully convert 4K videos to devices with 4K converter for PC, Mac, Android or iOS? Let's check it out starting with WinX 4K video converter here. Step 1: Access to Video control and click button "+ Video" to load your to-be-converted 4K video on computer. 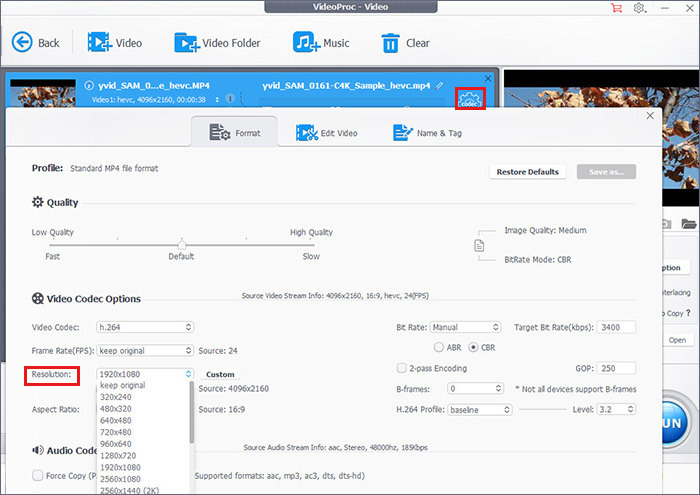 Step 2: Choose an output video format or device, for example MP4, H.265/HEVC, H.264, MPEG, AVI, WMV, FLV, iPhone, iPad, Android, Samsung, etc. Step 3: To convert 4K to 1080p, go to the Resolution under "Format" and the dropdown menu will provide a list of resolutions. Step 4: Do remember to check "Hardware Acceleration Engie" in the main interface. Then press "RUN" to start your 4K video conversion. Or you can download & convert 4K videos from YouTube simply by doing "tap URL -> copy, paste and Analyze the 4K video URL -> select 1920x1080/MP4 -> tick Auto convert -> RUN". We would like to introduce the best 4K downscaler software – helping you downscale and compress 4K UHD videos to 2K, 1080P HD on (Windows 10) PC/Mac with ease. How to download and play 4K movie video on Windows 10 PC/phone/tablet? How to stream 4K movie from Windows 10 to HDTV? Find answers from this post.